Palestinian nonviolent leader and international arrested. | The Only Democracy? The Only Democracy? » Featured, Human Rights Activists in the Crosshairs » Palestinian nonviolent leader and international arrested. Palestinian nonviolent leader and international arrested. Another article in Ha’aretz tells the story of the arrest of a Palestinian nonviolent leader. “Israeli forces arrested a leading Palestinian protest organizer on Thursday in what activists said was a sign of Israel’s concern over plans for more demonstrations in the West Bank. Mohammed Khatib was taken into custody in a pre-dawn raid, said a statement by the Popular Struggle Coordination Committee which he heads. The Fatah party of Palestinian President Mahmoud Abbas, who opposes violence against Israel, wants more “popular resistance” against Israel’s West Bank settlement policies. Activists say Israeli security forces stepped up arrests last month in an effort to nip the campaign in the bud. Saying that the protests ‘often turn violent’ ignores how Israel is clearly trying to provoke violent reaction while suppressing nonviolent dissent. The treatment of internationals as seen in the video (night raids, dubious legal justification,) shows us how Palestinians are treated all the time, without the benefits of citizenship. 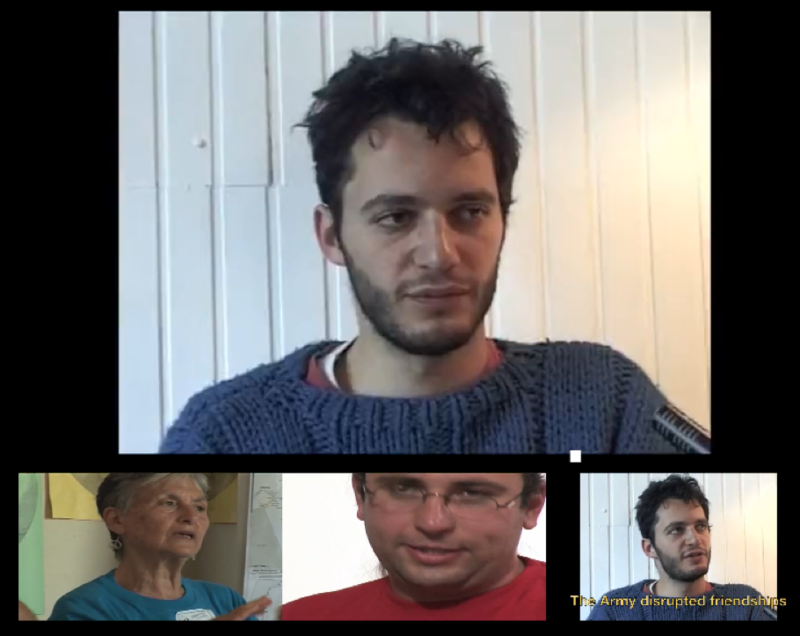 International activists freed, then their office raided again by IDF.